The family vacation ends when catastrophe strikes. Zoe and her family start plummeting to certain death when their car tire explodes. Suddenly Zoe finds herself transported into the very pages of the Bible. But what of her family, still trapped in the car wreck? Are they still alive? Can God save them? And why are there so many stories in the Bible about lambs? 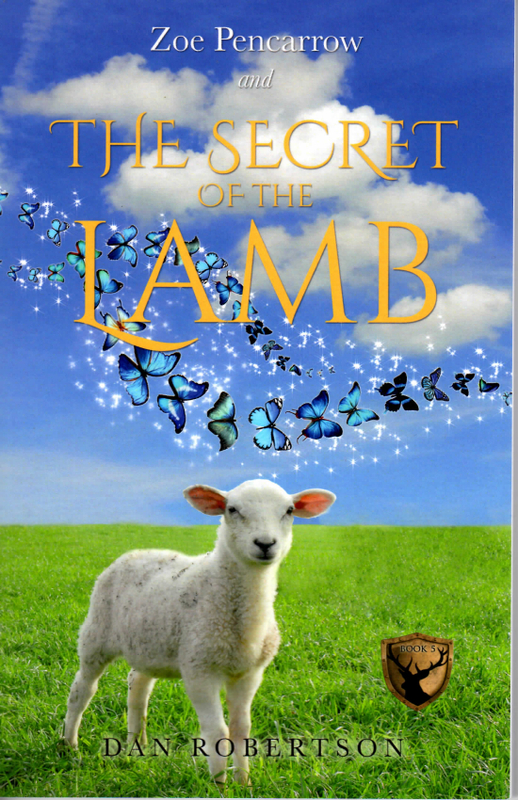 Join Zoe as she solves the incredible mystery of the Secret of the Lamb! “Amazing……as I read I have laughed and cried. It has given me a deeper revelation of a God of Love, the Creator of the galaxies, who has created the starry host with love. Beauty that man hasn’t seen as yet…..how small is man. It reveals a big, big God who sits and laughs at the way man plans and rages. This is a God who is willing to use weak people to reveal who He really is, to reveal His power. He doesn’t really need us but He chooses to partner with us. He is the God who says to us today, “What have you got in your hand?” How kind is He, that He would want to use what we have?!!! This book has filled me with such faith. He has given us authority to believe and declare. Thank you, Dan Robertson, for the way God has caused you to share images of the heavenly realms with us. It’s not just a book for the young. I was blessed through it personally with a fresh encounter with Jesus and I’d like to recommend it for each and every one! “The fast-paced opening chapter immediately drew me in and I loved being transported to scenes from the Bible – it felt as if I was right there. Suddenly the Bible characters seemed very close and real and I noticed details from their stories in a fresh way. As the plot unfolded, I felt God was speaking through Zoe’s adventures to me personally, equipping me for adventures? battles? victories? of my own. I re-read the last chapters several times, wanting to soak it all in, and felt God strengthening me and changing my heart to love in hard places.